Did Jesus marry Mary Magdalene? Da Vinci Code: True or false? The birth of the infant Jesus in the village of Bethlehem was announced to the world by an angel’s voice to shepherds in nearby fields: ‘Today is born a Saviour. Glory to God in the highest’. The setting: The birth of Jesus probably happened in one of the man-made caves surrounding the village of Bethlehem. Two angels, painting These were used for farm animals, or as storage areas for food and utensils. 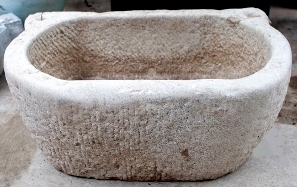 The manger in which Jesus lay was probably a food trough; it made an excellent emergency bassinet for a newborn baby. Jesus was a first-born son. This meant he had a special status in his family; he had to accept responsibilities that his brothers did not have to face, but on the other hand his inheritance would be greater than theirs. ‘First-born’ also implies that there were other, later children born to Mary and Joseph. According to Luke’s gospel, the new baby was wrapped in swaddling clothes – long strips of woven cloth used to hold a baby’s arms and legs close to its body. This was supposed to simulate the comfortable, familiar constriction of the mother’s womb, making the baby feel more secure and contented in the strange world it had newly entered. At this point in the story, only Mary and Joseph realised the significance of the baby who had just been born – no-one else knew. But now the situation changed. The importance of this baby to the whole of mankind was about to be announced to the world. 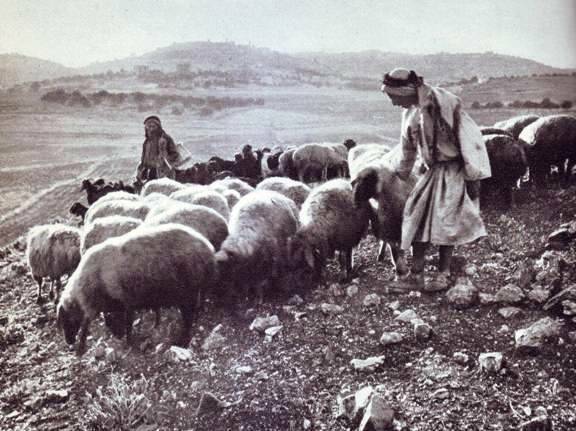 The gospel of Luke says there were shepherds in the fields around Bethlehem on the night Jesus was born. What were they doing there at night? Shepherds placed their flocks in stone ‘folds’, round enclosures about the shoulder height of a man. Each shepherd in the surrounding fields would bring his flock there at night. The folds had a single gate, which made it easy for shepherds to control the animals during the long dark nights. There may not have been wolves in the area, but there were wild dogs who harassed unprotected sheep. According to Luke, there were several shepherds gathered there that night. These shepherds were startled by the appearance of some form of heavenly manifestation, an apparition that the gospels call an ‘angel’. What exactly the gospels meant by this word we do not know. 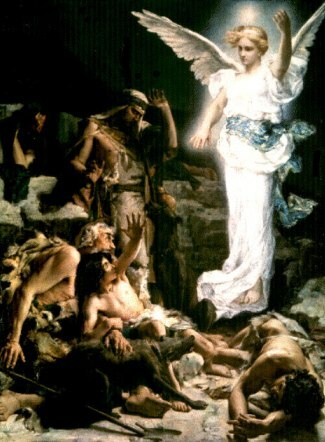 Paintings usually show angels as winged young men; they do so because they want to convey the idea of angels as spirit-beings who served God by conveying messages from him to human beings. Whatever this being was, it terrified the shepherds. So the angel’s first message was one of reassurance: ‘don’t be afraid. I bring good news’. Then this ‘being’ told them that the Messiah, the Christ, had just been born. Its next words were as astonishing for them as its presence was, contradicting everything they expected the Messiah to be. This Christ was an ordinary baby, born in a nearby village and wrapped in swaddling clothes, just like any other newborn peasant boy. The being’s astonishing message was backed up by a further vision: the sky filled with light and sound, as if the whole of Creation was rejoicing. The shepherds received a second message: God was glorified by what had happened, and peace would be given to people who kept God’s laws – all people. Then the night sky faded back to its normal appearance, and all was quiet again. The stunned shepherds knew themselves to be caught up in something momentous, though as yet they were not quite sure what it was.Limestone trough for feeding and watering animals They decided to hurry across to the nearest village, Bethlehem, so that they could tell people about the message they had received, and see for themselves what was going on. Before they had even reached the village they stumbled onto the cave in which Jesus had been born. There were his parents, and there was the swaddled baby lying in the food trough, just as the messenger had said. Naturally they told people about their experience. Some believed them, some did not – but everyone who heard about it was startled, and thoughtful. 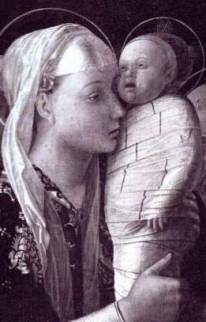 Mary, the young woman who had just given birth, also heard about their experience. She was calm, neither voluble or lozuqcious. She tucked the event away in her mind, wondering what it meant. And the shepherds? They were changed men. They unashamedly praised and glorified God. Luke 2:7-20 7 And she gave birth to her first-born son and wrapped him in swaddling cloths, and laid him in a manger, because there was no place for them in the inn. 15 When the angels went away from them into heaven, the shepherds said to one another, “Let us go over to Bethlehem and see this thing that has happened, which the Lord has made known to us.” 16 And they went with haste, and found Mary and Joseph, and the babe lying in a manger. 17 And when they saw it they made known the saying which had been told them concerning this child; 18 and all who heard it wondered at what the shepherds told them. 19 But Mary kept all these things, pondering them in her heart. 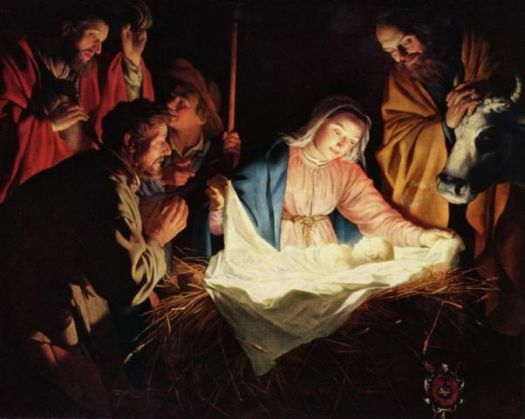 20 And the shepherds returned, glorifying and praising God for all they had heard and seen, as it had been told them.